The Cobra is a flowing whole. 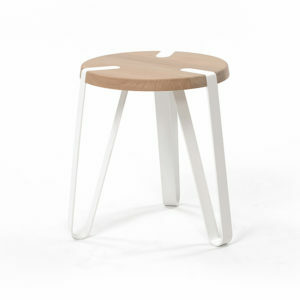 The back is curved and the underside is more slender, making this a useful side table. The metal foot is strengthened for maximum stability. 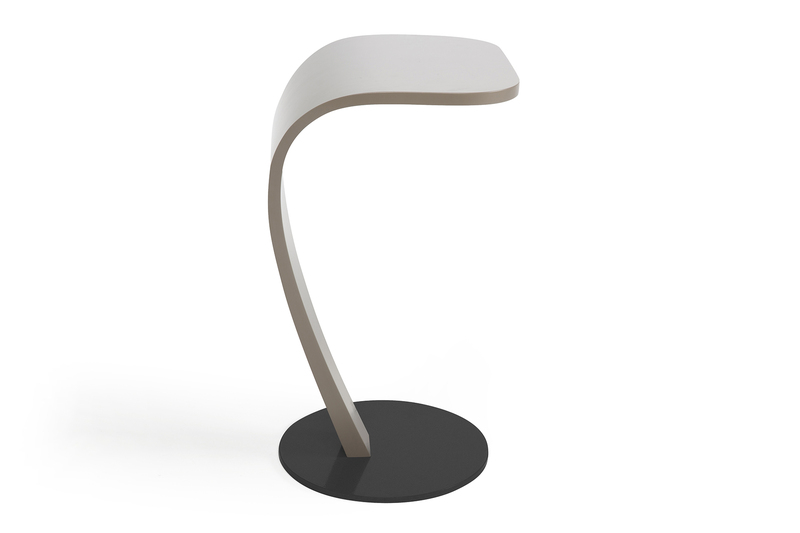 The Cobra is made from bentwood, has a satin finish and is available in three colours. 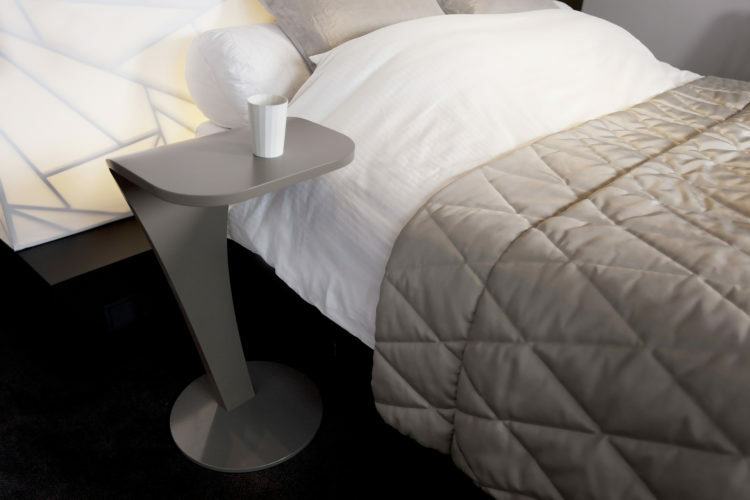 The Cobra side table isn’t just beautiful, it’s also a very practical piece of furniture. A piece of furniture that you can easily use beside your bed or as a handy side table for beside your armchair. 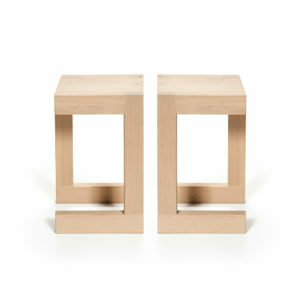 This versatility comes from the beautiful design of this side table. It’s available in a number of colours so you will always be able to find a version that will fit perfectly with your interior. 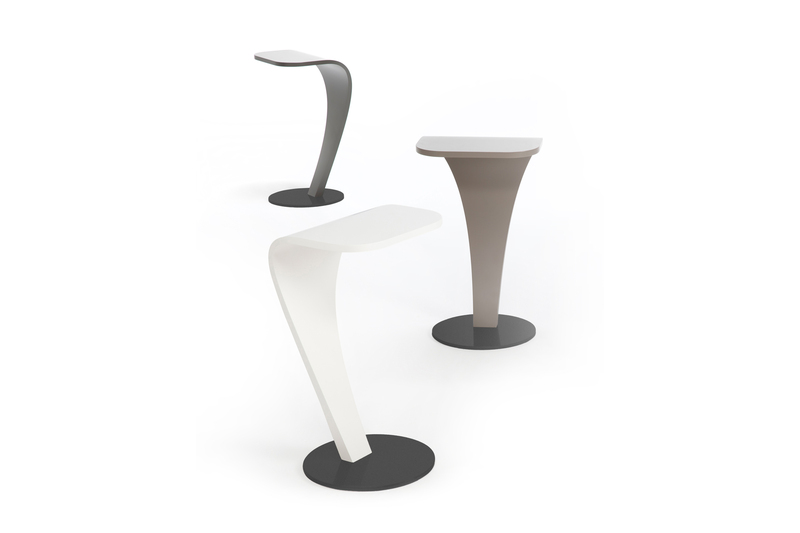 Consider a white version or a darker version of the table in ombre grey or beige grey. Another of this side table’s great features is that it weighs a sturdy 15 kg, this substantial weight makes the Cobra incredibly stable in use. The stability and weight comes from the Cobra’s metal base. Available colours: White (RAL 9010), Beige/grey (RAL 7006) and Ombre/grey (RAL 7022). 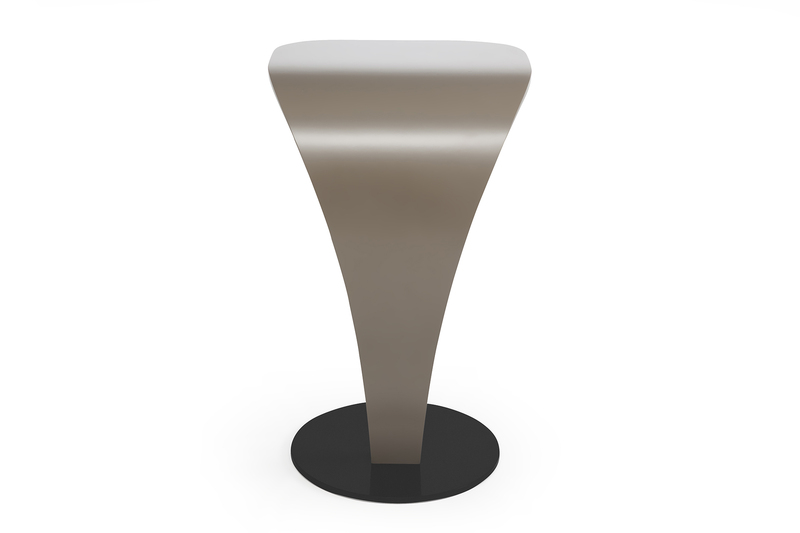 The Cobra is weighted with a circular metal base. This added weight gives the Cobra outstanding stability. The underside of the base has felt added to protect your floor from marks and scratches. You can easily slide the Cobra into place on a smooth floor.